Day 10 and we are starting to really get into this editions heart. 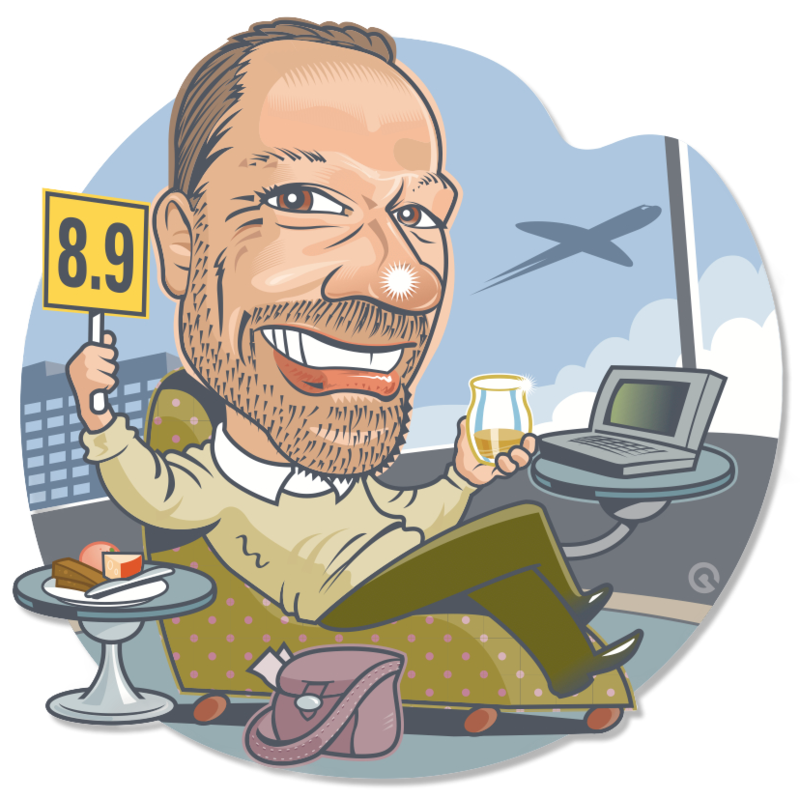 There have been some really delicious drams so far and I’m looking forward to the rest of the ride. Back today with A.D. Rattray the first independent bottler I ever spent time in the market with. Owned by Industry legend Tim Morrison, A. D. Rattray was founded in 1868. Born of a love for the industry after lying dormant for decades A.D. Rattray has been rebuilt by Tim into a world class independent bottler. They are now going to be adding distilling back into the Morrison plan with the opening of the Clydeside distillery in Glasgow. 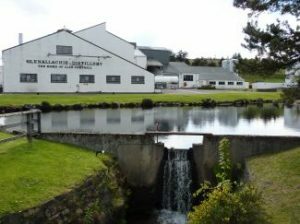 Glenallachie is owned by Pernod Ricard and was built in 1967 (just a touch older than me). In the town of Aberlour at the foot of Ben Rinnes. Most of its production goes into blends including the cask strength Clan Campbell and Legendary and White Heather. The distillery uses mostly lightly peated barley for it’s production so it will be interesting to see if we pick any of that up in today’s dram. 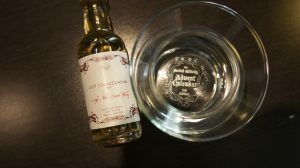 A.D. Rattray Glenallachie 2007 – 8 Year Old Single Malt aged in a sherry cask # 900831 and bottled at the huge mark of 64.9% making this the absolute stand out winner of the highest ABV in any calendar edition to date. It’s so fun that we are finding these special casks that are lurking beasts hiding out in dunnage warehouses for unsuspecting whisky drinkers to pass by. Color: I’m suspecting a second or re-fill sherry cask on this one even at 8 years of age as a first fill cask would normally impart a little more. SLightly amber to reddish hue the only sign of sherry here. Nose: Go gently into the fray people there be monsters about. Quite closed initially and I think my tameness due to the ABV is stopping me from getting my considerable appendage deep into the glass. OK here goes….. could be my mind playing tricks here but I do detect a hint of earthy smoke here sitting atop a deep vein of Oak and Barley. Palate: Yep it’s big and lets you know all about just how big a stick it has. Really coating with a touch of zest sipping off the tongue betraying all of the 64.9% worth of octane rating. Simmers down quite quickly though and allows some tea biscuits and raisin scones to come through. Finish: Dry sherry here and a lasting tingle kind of like the aftermath of chewing on a particularly juicy and hot jalapeno. Just had to water this and hey presto just like magic a whole bag of fruity goodness erupts. Satsuma plums and deep red ripe watermelon but all with that smoky edge still present. The mouthfeel is immediately creamier and softer and the raisin scone is still there but this time with a healthy dollop of fresh farm cream and a dash of aged balsamic on top. This is exactly why cask strength is so awesome. Please play with this as much as you want as there are plenty of layers to find with more watering here. Unfortunately there are no full bottles available. You can console yourself with the knowledge that the big ABV means with more watering you get almost twice the amount of whisky. 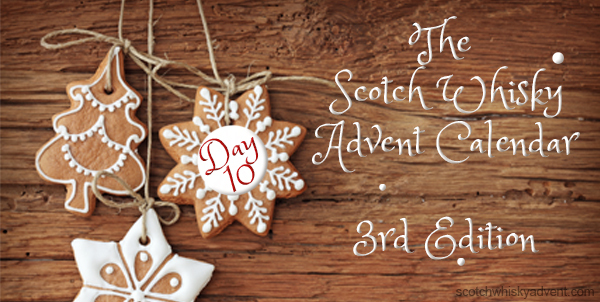 In the 2nd edition on this day we had the Samaroli Islay Blended Malt which you can revisit here. Whiskylassie has been having almost as much fun anticipating her daily dram as she has drinking it. Catch up with her take on today’s whisky here. Tomorrow we head back to those fun folks at Wemyss Malts for another special limited release. If the popularity of the Velvet Fig last year is anything to go by this should be excellent. I gotta say I am a sucker for the high abs, complexity of these examples. Love how there is just so much going on and for whatever reason the “layers” appear more clearly when the octane is high. Just love this one. Want to add a drop of water to see how it changes but am enjoying it too much to meddle with it. Moderate amount of first aid required for the sniffer as I was a bit to aggressive on the initial “check”. Prominent note for me is almost over sweet apples. This gets a giant thumbs up from me! ( as have all the others thus far I suppose). Yep this was a big winner for me and has now set the bar for the Highest ABV in any calendar. Will have to see if I can top it next year.